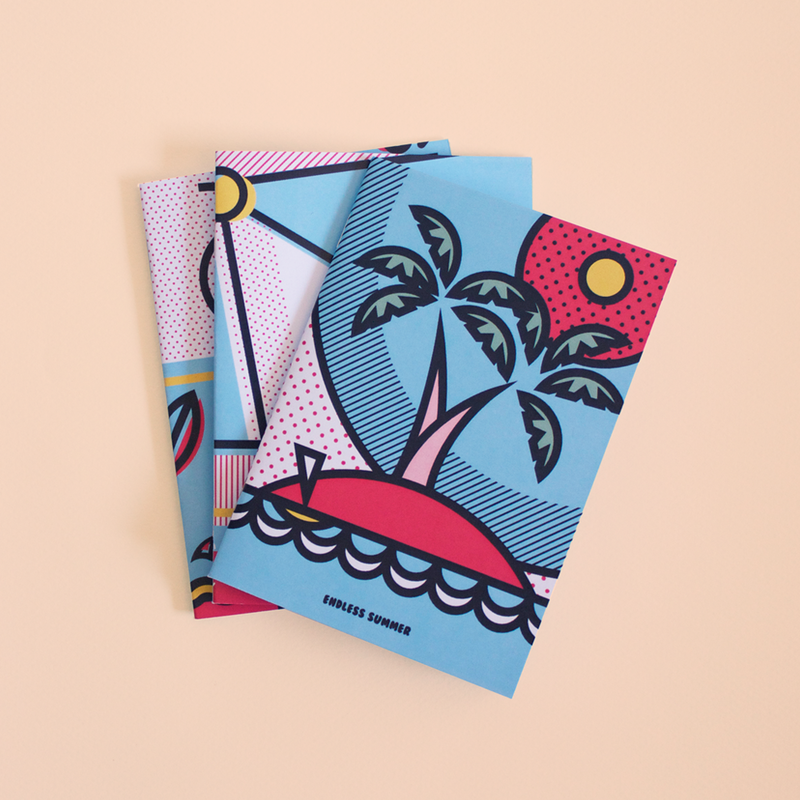 The beginning of the new season comes with the architect in profession and street artist Giorgos Wake Beleveslis from Thessaloniki, permanently living in Berlin. Particularly polite and friendly he discusses with us about his start, Yakuza (a group with great interest since as a result of it several artists with remarkable works appeared ), the characters he creates in the public space and the way of life in the big urban centers. When and how does your relation with visual art begin? Does the environment that you grew up affected you or is it a personal need which you evolved? I discovered my interest in painting only when graffiti knocked my door. I was 14 years old and suddenly found myself with a tool in my hands with which I could express myself and communicate in a new way. I didn’t have any direct influence from my family, we all together discovered what this is and where it could take me. Then I studied at the Architecture university of Volos and also met RTMone. These two have shaped a more structured and multifaceted relationship with visual arts. When did you start to create in public space and what was the need that pushed you to? What does the street offer to an artist and what kind of difficulties come up? The year of 1998 in the basketball courts of Thessaloniki I began to observe the painted walls and realizing that from all the hip hop elements in my life this was the most surprising. At that time the book “Color of the City 1” came to my hands and everything cleared up: SGB, 114, I was totally hooked. The relation of a street artist with the street is a constantly changing situation. I started overwhelmed by the adrenalin and the immediate relation I develop with my city. A writer receives a great amount of knowledge when it comes to the urban fabric where he acts, that’s always a potential advantage. The endless hours spent outside is an educational procedure. In spite of the difficulties, all this situation can’t have but positive influence on the style of our work, on how we perceive people and our place in society. There comes a moment when this long-term life experience gives you back the stimuli you need growing up to continue being creative. Member of Yakuza. A Greek crew that has great interest. When was it created, who does it consist of, how did it start and how do you imagine its future? Since 2003, the first core was born in Volos where with RTMone and Sive we developed a long friendship and through the “chill vibe” of countryside we could focus on character design and experiment with the surrounding area. The fact that we were far away from the grind of the competitive graffiti community in Athens, gave us the creative freedom to try new things, while we were still in the shadows. As the workload was increasing, our personal style was becoming more defined and as the internet was making its way in our lives, our desire to introduce ourselves in a wider audience was growing.In 2006 the second core of the crew was making in parallel its own way in Thessaloniki with Amok, Risk, Rasel, Spike to produce high quality work attracting our interest. Us meeting each other led to the creation of a very explosive mix of traditional graffiti and a new school approach between street art and contemporary muralism. Perhaps it was the first time for all of us when there were all the elements that we liked in the wall. This coexistence seemed to have another dynamic. It was only a matter of time for Amok to say it out loud: Let’s give it a chance and let it roll. You give the impression that there’s a lot of love and deep appreciation between you. How important is it for people with the same vision and goal to create together from scratch? The fact that we created YKZ in a more mature age made us very open-minded and flexible in the way we worked as a group, while we had the chance to begin our friendship on a strong groundwork. Under the umbrella of the group we exchanged knowledge and energy. Graffiti after all is a celebration and a team game. The feeling that you share this journey with similar weird types of people is priceless. For me the crew is the wider circle of friends that directly or indirectly has its own creating contribution all these years: Simao, Larry Gus, Ihad, Sad, Jamer, Apset, Ionas, Rino and the list goes on. Your characters are probably geometrical, strict, most of the times giving the impression of being melancholic and hypotonic. Tell us about them! Is there each time a different story they “narrate”? The strictness in geometry comes from my architectonical background and my tendency to classify the anatomy in basic typologies. My color palette is more earthy, graffiti is aggressive and I try to minimize the tension and enter smoothly on the wall. Many times my characters are hypotonic, exhausted from the modern lifestyle and the hyper-exposure to information. There exists a feeling of bittersweetness, an incurable sense of nostalgia with references to the adventure of living away from your home. They contain experiential elements, they are illustrations of a notebook I leave on the street to start a dialogue: today I lived and felt that, you? How much does an artist illustrate oneself or better the stimuli of ones everyday life? Maybe after all art isn’t a product of imagination, something that existed or never will. On the contrary, it’s the most genuine and sincere way to describe the naked reality as it is through a more subjective prism. Everyday life itself, us ourselves and the people with which we correlate is the most endless source of inspiration. In the last few years you live and work abroad. Is art your main occupation? If not what is? How much does one influence the other? Since 2011 I live and work in Vienna as an architect. My master studies on urban design gave me the chance to go to avant-garde architecture offices like CoopHimmelb(l)au, where I could remain creative and participate on something I believe in. Architecture and graffiti are communicating vessels through which I exchange knowledge relative to the urban environment and design itself. Many of my projects maintain a dynamic geometry that comes from the deconstructivistic language of graffiti. However architecture is an object with clear limits and the cases that there’s a level of freedom are minimum. I’ ve never tried to make a living exclusively through art, recently I moved to Berlin in search of a better balance between these two. Austria and Germany until now, right? 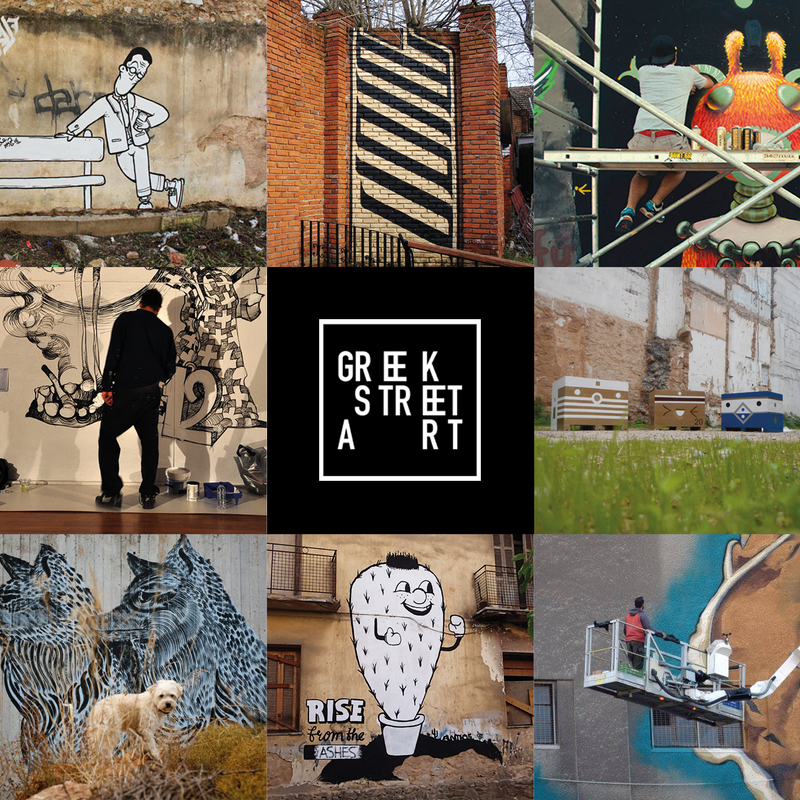 Which are the differences with the Greek scene but also the reaction of the people to the public artworks? There’s a different tolerance towards graffiti in Greece, not because of the public appreciation for the art but because of the different prioritization of problems of the city, thinking that we have more serious problems to solve. 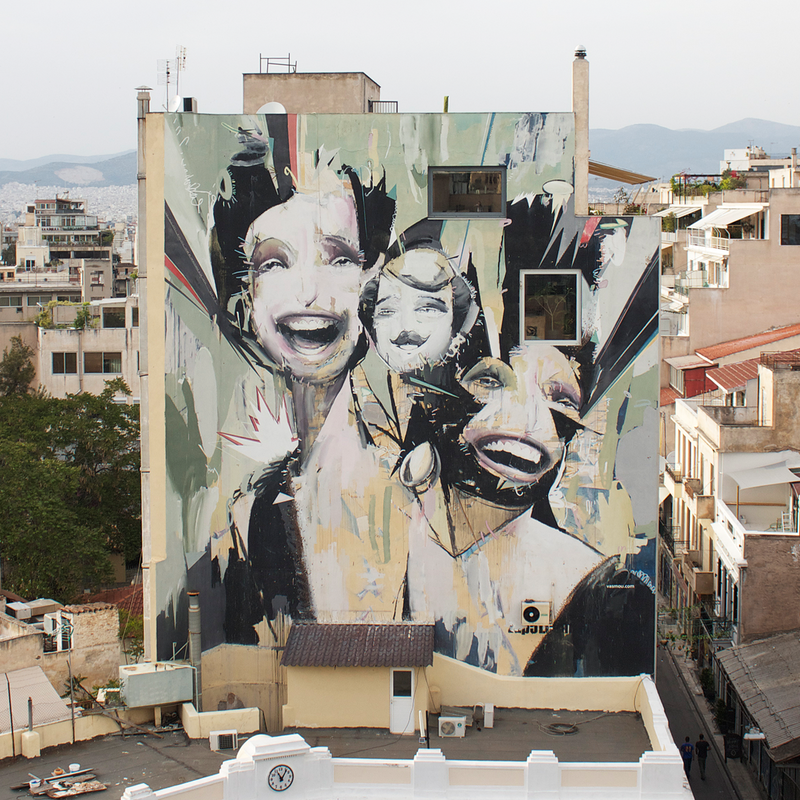 Conditions make Greek graffiti more politicized and emotionally charged, they offer space and motivate a large amount of artists to take action and the quantity gradually brings quality. Berlin has some similarities in that regard but it also has the infrastructures and the history to evolve the Berlin scene in an international level through organizations, galleries, events etc that familiarize the –already educated- public even more. On the contrary Vienna isn’t the urban scenery in which graffiti will blossom, it passes any creative energy in the Halls of Fame, therefore it’s a city that concentrates on the cultural activities and offers to the public organized murals more and more. Urban lifestyle where grey dominates, stress and fast-paced way of life. Isolation and distancing between people and nature. Is street art an essential need for a more pleasant daily life? That’s true. The occupation with street art is beneficial, it gives me the ability to mentally return to pleasant memories, it’s a type of psychoanalysis and externalization of a great deal of emotions. It’s a great way of socialization and the most interesting way to discover and be a part of the urban scenery. It’s an escape, a selfless offer on the city and its citizens with whom you’re in dialogue. I wish to remain restless, curious and see more. Also live by the sea. Posted in street style and tagged art, character design, giorgos wake beleveslis, greece, Greek Artists, greek street art, mural art, outdoors, public art, street art europe, Yakuza. Bookmark the permalink.